What is Walk The Web®? Walk the Web® is the friendly name for 3D Internet Browsing. It is more than just 3D Buildings, 3D images, and 3D Objects on a webpage. Walk the Web® treats 3D Building Blocks as web pages, 3D Buildings as websites, and 3D Communities as links between websites. Walk the Web® is a new layer of Internet above and beyond webpages and multimedia. It uses design specifications or HTTP3D Framework to craft 3D Building Websites that can Connect into 3D Community Websites to create a continuous interactive animated 3D Browsing experience. 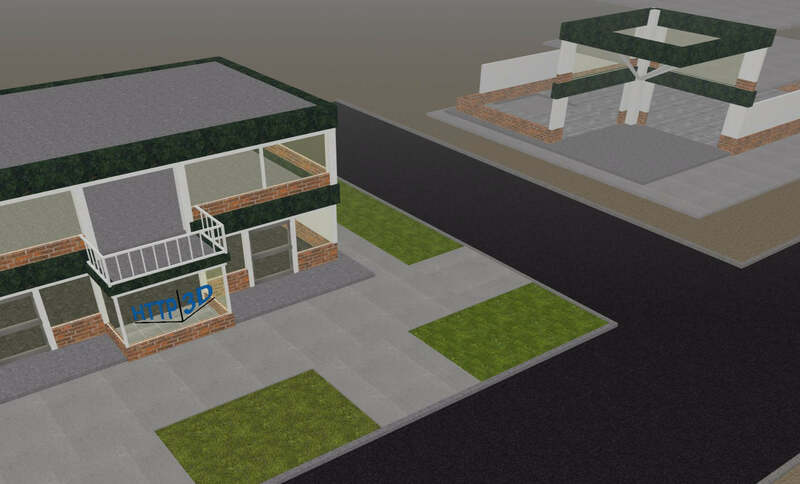 We are working hard to build 3D Shopping centers, 3D Games, 3D Communities, 3D Buildings, 3D Things, and so much more. As we complete functionality, you can Pan and Walk around and discover games, meet with others, ride amusement park rides, and fully experience 3D Browsing only at Walk the Web! This is the 3rd Generation of Internet.